This book aims to be what every marketing manager needs to know about marketing in today's competitive markets. The idea was born out of repeated comments from IMD clients that there were gaps in the ?classic? literature where innovations in practice had moved ahead of the discipline at an academic level. 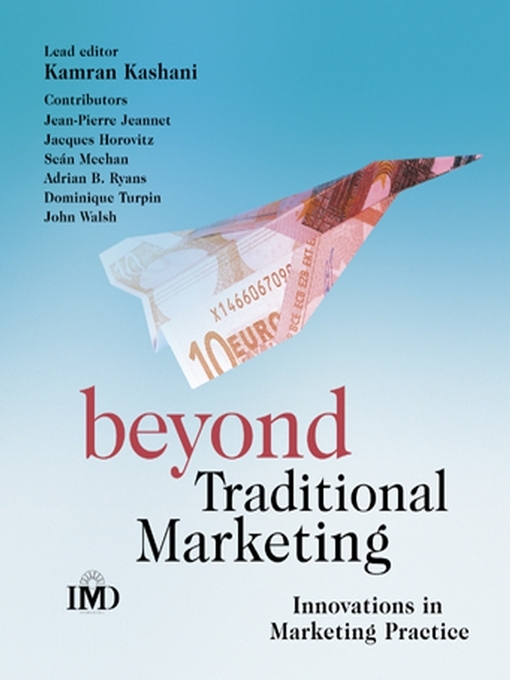 Each chapter takes a subject that can be defined as being new or relatively new (for instance value chain marketing, marketing through collaboration with customers, and two-way brand building) and illustrates how new thinking has led to innovations in practice. The book is full of examples of real-world companies who have dealt effectively with the emerging issues, and others who have not. Each chapter ends with managerial highlights and actionable summaries.